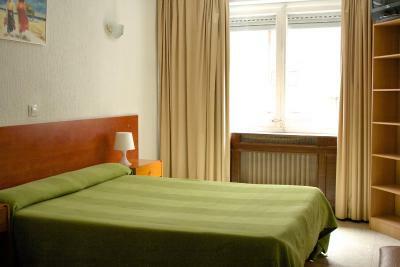 Certainly one of the cheapest places if not the cheapest place to stay in Andorre and you have everything you need. I specially appreciated that they kept my bag at the reception while I was sightseeing . Very nice people . 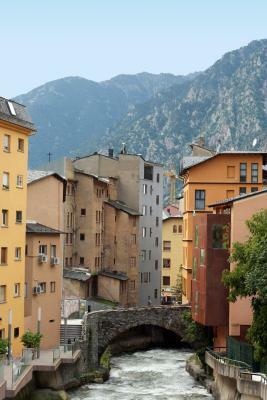 A good catch price/quality wise, very close to the center of Andorra la vella! Would recommand it for small budgets! Good location. Parking garage close to the hotel. Very nice person at the counter. Fast check in. 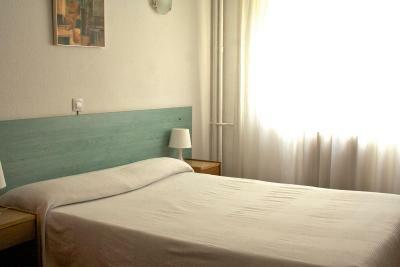 The bed and room is not brand new but it was comfy enough to sleep in. They provided extra pillows and blankets even when we didn't ask for it. 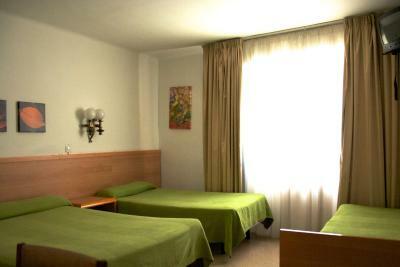 We got a very big room for a very cheap price. It's not the best hotel in town, but it was certainly more worthy than I paid for. The best part during the stay was the staff. They were so friendly, approachable, sweet, generous, and understanding. They were super accommodating. Right when we arrived up to when we left they still delivered very well. Basically, very great SERVICE from the staff (shoutout to the man on day duty at the front desk and restaurant on May 14 and 15,2017. Sir you made our stay very enjoyable). 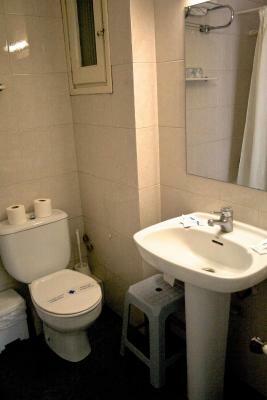 Do not expect high class or 5 star facility, but do expect a 5-star like service from the staff. Another thing is the location: super duper good location. The center of the town is in the same street as the hotel. Good view on the way and they have an elevator. 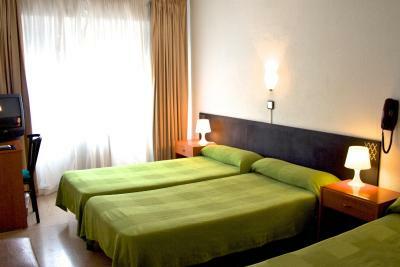 The location of the hotel is great, parking is nearby. 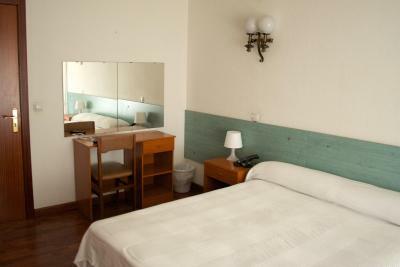 The equipment of the room is basic but it's enough, you don't need luxury to spend one night there. 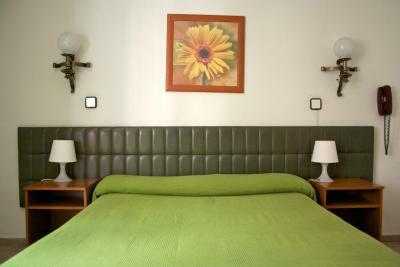 This is a basic hotel,nothing fancy about it but in a great location,the hotel was clean and the staff was very helpful,breakfast was good,bed was comfy,linens were clean and the room was facing the river which was nice,overall we enjoy our stay. The Customer Service was exceptional, the receptionist even let us change the room with the bath tube. The view from the room was great, as well as the sound of the water from the river. The view from our room made up for the negatives in the hotel. 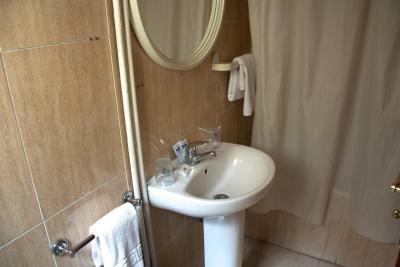 Siracusa This rating is a reflection of how the property compares to the industry standard when it comes to price, facilities and services available. It's based on a self-evaluation by the property. Use this rating to help choose your stay! 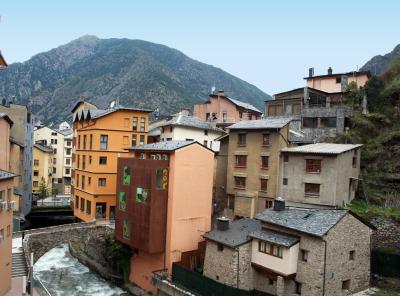 This functional hotel is located in Escaldes, in the heart of Andorra. 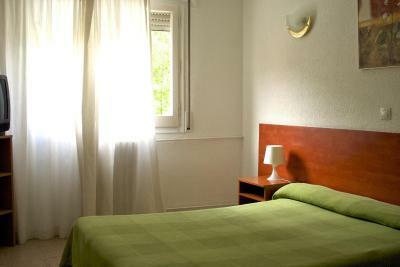 It offers good-value accommodations in a beautiful mountain setting and has free Wi-Fi access. 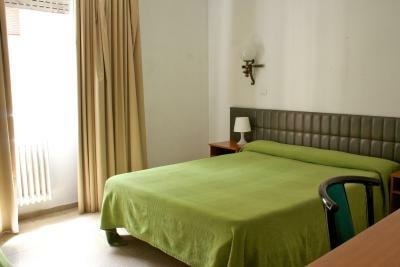 Bedrooms in Hotel Siracusa are simple and comfortable. 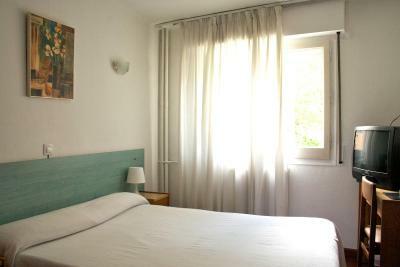 All rooms have heating and TV, and plenty of natural light. 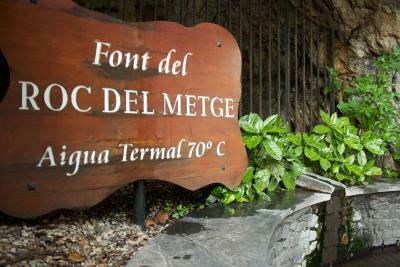 The private bathrooms have showers of thermal spring water. The Siracusa is in the commercial center of town, with many shops nearby. 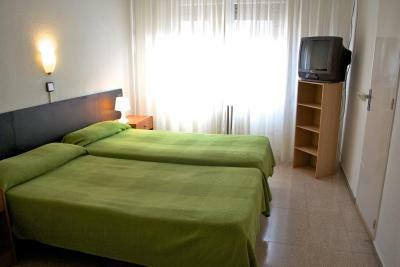 The famous Caldea spa is just 5 minutes’ walk away. 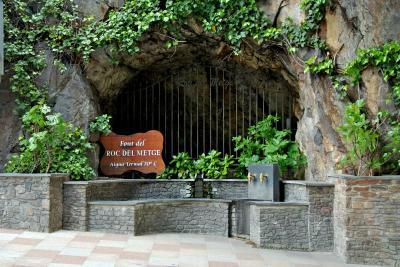 The local area offers many outdoor activities, such as trekking and climbing. Paid public parking is available 150 feet away from the property. 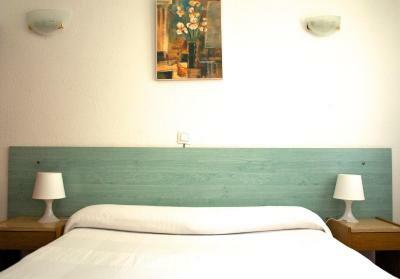 The hotel is also well-located for visiting ski stations, including Grand Valira. 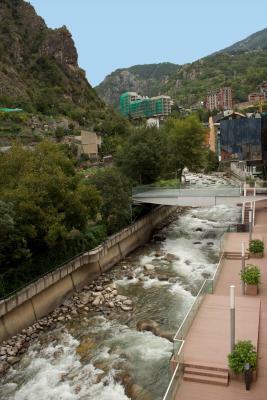 Thyssen Museum Escaldes is 150 feet from the property. 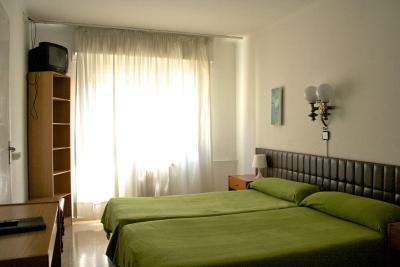 When would you like to stay at Siracusa? 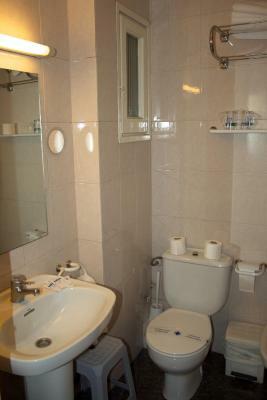 This heated room comes with a private bathroom with shower and free toiletries. The hotel defines children as being 12 years old or under. House Rules Siracusa takes special requests – add in the next step! 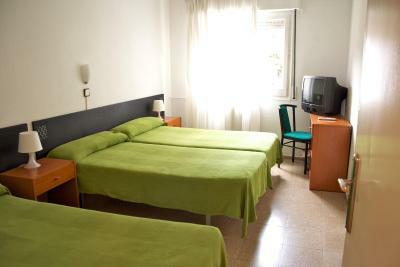 One child from 0 to 4 years is charged EUR 10 per person per night in a crib. Debit card Other Siracusa accepts these cards and reserves the right to temporarily hold an amount prior to arrival. Siracusa accepts these cards and reserves the right to temporarily hold an amount prior to arrival. It was good for this price but not in the center. That I didn't know about it till the end of my stay!! ONE OF THE WORST EXPERIENCES IN HOTELS I HAVE EVER HAD ! LOADS OF HUMIDITY IN ROOM, HAIR IN SHOWER TRAY "LOADS", DIRTY SHEETS, NO TOILET ROLLS, LAMPS WITH NO BULBD, NO SOAPS, NO SOUND PROOF WINDOWS AND EXTREAMLY NOISE RIVER, NO TV REMOTE AND MAIN THING NO HOT WATER, STILL DOENT UNDERSTAND HOW THIS HOTEL CAN BE A 3 STAR AND THEY DIDN'T EVEN GIVE ME RECLAIMING FORMS. NOT PLEASED AT ALL. TRIED TO SWAP HOTELS, BUT DID NOT FIND ONE. NOT HAPPY AT ALL !! The room was not as clean as I expected. The price was not worth it. The room smells like hell... Old ciggy stink.